Hi friends! I’m working on a more general holiday gift guide 2018 for you. But in the meantime, I must pop in to share some of my favorite items at my fave Catbird jewelry. 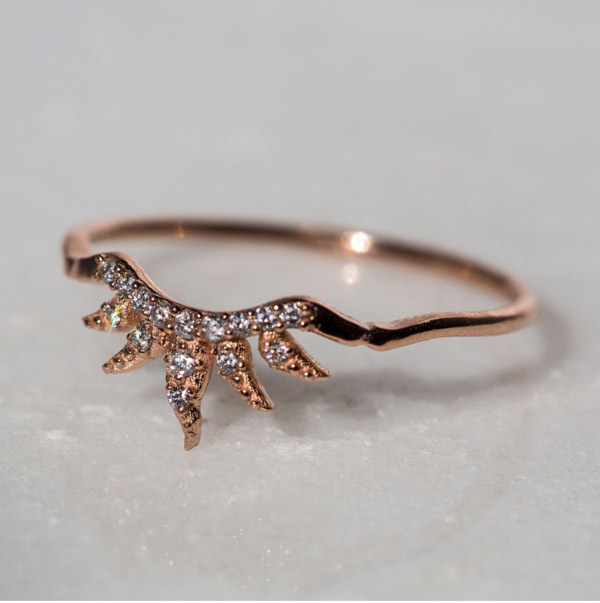 I fell in love with Catbird when I was working in NYC. So many of their items are really well priced for gifts, perfect for the holiday season. 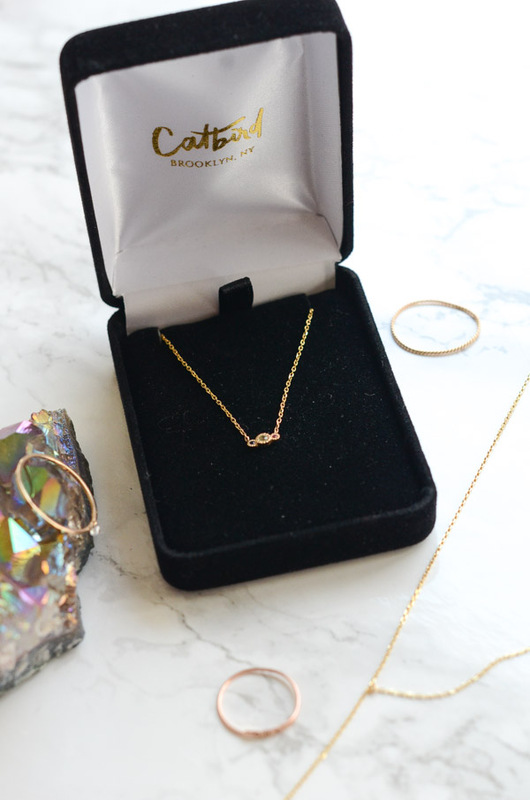 Here are my picks for the best Catbird jewelry gifts. Note: This post is not sponsored. I’m just addicted to buying Catbird and thought I’d share with you how much I love it. There may be some affiliate links in this post. If you make a purchase from one of these links, I may make a small commission at no extra charge to you. And if you make a purchase, I hope you love your Catbird as much as me! Since I have sensitive skin, I basically cannot wear fake jewelry. It turns my skin colors and causes irritation. Farewell, costume jewelry. Enter demi-fine jewelry. So this style of jewelry is, yes, generally more expensive than costume. But I’m all about quality over quantity. I’d rather have one beautiful necklace that is my “every day” necklace that I literally wear every single day and LOVE than have 10 costume necklaces for the same value that are just okay that I interchange frequently. Also, spending loads of time in NYC and now SF means less storage space. So it’s easier to have less from that perspective. And another thing is that I don’t just buy Catbird jewelry on a whim. Because of the price point, the jewelry has become a special treat for me, and it’s often one that I earn in a way. Every piece I own has some special meaning to signify a goal or achievement that I’ve met. And if I ever received an item as a gift, that would be pretty darn special too and would make me think of the gifter when I wore it! 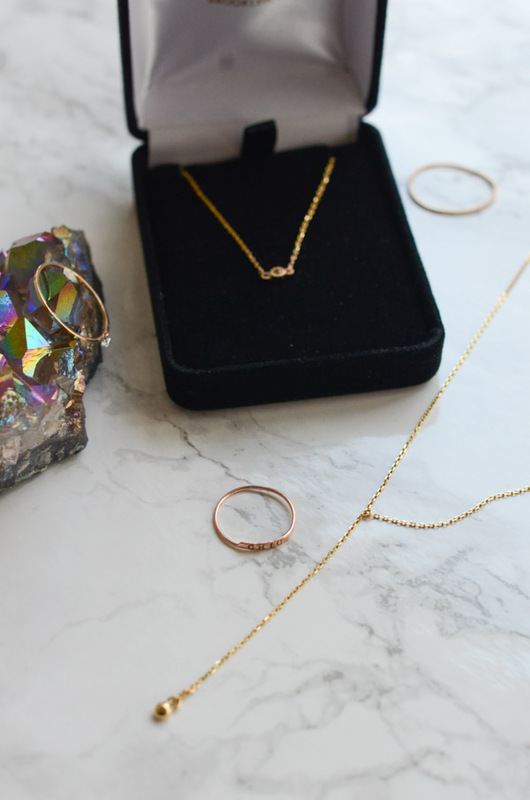 Additionally, this jewelry is all solid gold and made with real diamonds. The styles are dainty and totally classy-chic. You can dress them up or down. 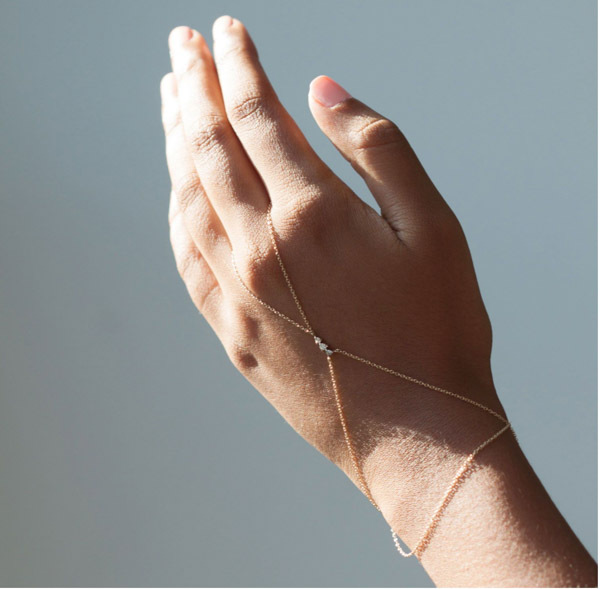 Not to mention Catbird has been worn by many a celebrity…if you’re into that or whatever. Personally, I love the jewelry because it’s well made, high quality, and simply gorgeous. Wearing it is such a treat and makes me feel special on the regular! I’ve selected five items from my personal collection that I think would make great gifts this holiday season (or any time of year, really!). This was my gateway drug to my Catbird obsession and with good reason. It was under $200 for solid gold, and I can wear this every day. Literally – every. single. day. Yas! You can dress it up, dress it down. It only comes in one size, so you can’t even get that wrong. Boom! 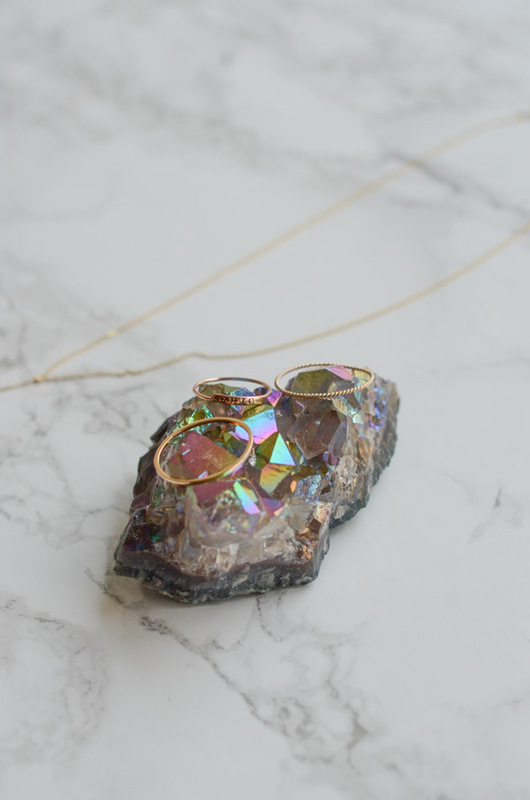 For another necklace, I love this “Journey” necklace by Jennie Kwon. I got this for myself to signify starting my new work project across the country in San Francisco. And I think this would symbolically be wonderful for anyone taking a big trip, life change, or leap of faith. Plus the diamonds are beautiful. Side note: after photographing and writing this post, I realized the necklace is no longer available online via Catbird. Though this gorgeous pink sapphire ring that I’m lusting after is. 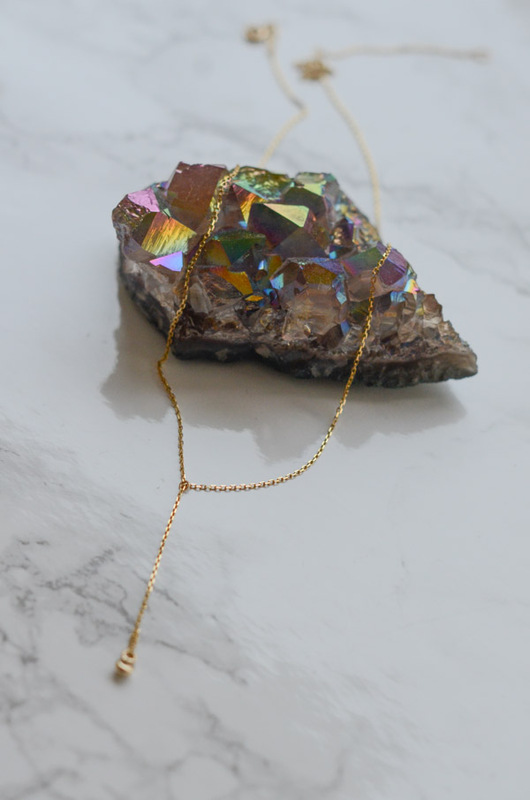 However, you can get this necklace at Jennie Kwon’s web site. It won’t be ready in time for Christmas, you silly last-minute shopper. This is thanks to JK’s two week lead requirement – at least that’s what the site said. But you could put a picture of this in a box maybe with a tracking number for your order? Or you can try calling Catbird in a desperate attempt to find this potentially hidden gem. Or buy it for another occasion? Valentine’s is right around the corner, my friends. When I think of Catbird, I think of ring stacking. And they have tons of beautiful bands you can buy to stack to your heart’s desire. 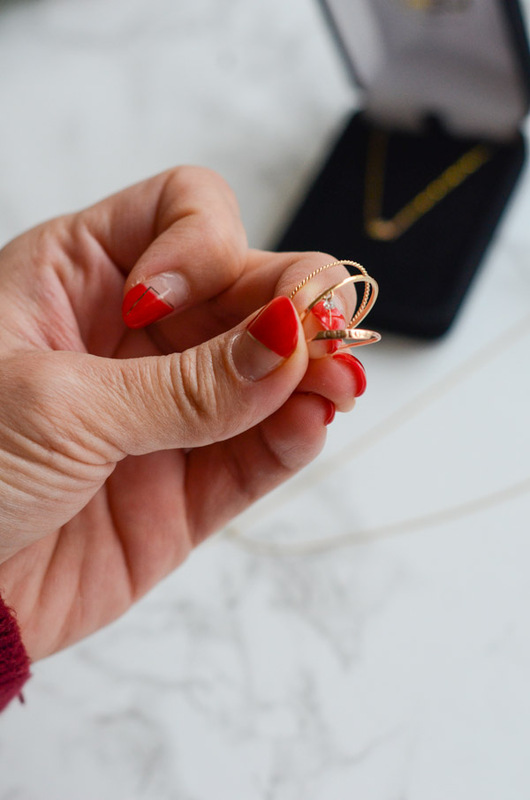 Here are three of my faves..
To the left (photo above): this Diamond Pinprick Ring is the ring with the tiny, adorable diamond that dangles ever so gently. It has a wee touch of bling to catch the eye. I like that the band isn’t too thick, as wide bands (I’m learning) tend to annoy me. The dangling diamond is a fun and unique look and would add a touch of sparkle to your ring stack. Though I actually prefer to rock mine solo. 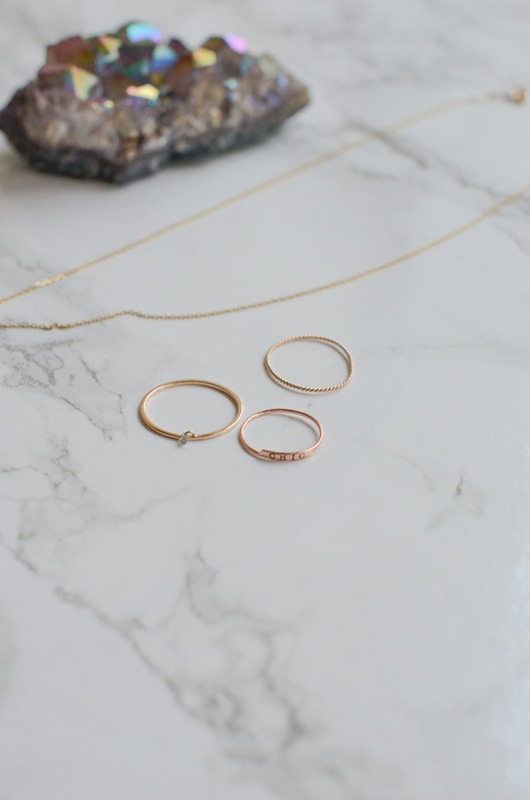 To the middle (photo above): This Famous Letter Ring is one of my faves that I wear every day. You can customize it and add something meaningful. Though that probably means it’s too late to order this by Christmas. But this baby is good any time of year. To the right (photo above): The Twisted Stacker Ring was a surprise love of mine. I tried this on after collecting a few different rings and was surprised at how nicely it elevated my rings with a sweet touch. The twists add a fun texture that adds nice variety but can also stand alone. Here are two items that I’m hoping to one day earn through some sort of goal or achievement. A gift would be acceptable too, though. Santa, you reading? I almost (almost!) got my hands on this beautiful yellow gold Diamond Kitten Mitten earlier this year. I love the style and how it elevates the rings. But, I did get to try it on when I was in NYC last month and was (happily) surprised at how well it fits. And I sort of want it even more now. Lol! And this stunner would certainly make a statement. I love the unique look of this Arabesque ring by Sofia Zakia. It looks really nice stacked with two other rings, especially if the center ring has a bit of a round shape to it. I tried it only in the store once over a tiny heart ring (also by Catbird), and my yoga instructor told me it looked like the heart was glowing. Love that! Be sure to check out their shipping page for details if you’re trying to order something by a specific date. I believe if you don’t order by December 14, 2018, you may still have a chance with expedited shipping for in stock items. Thanks for reading! 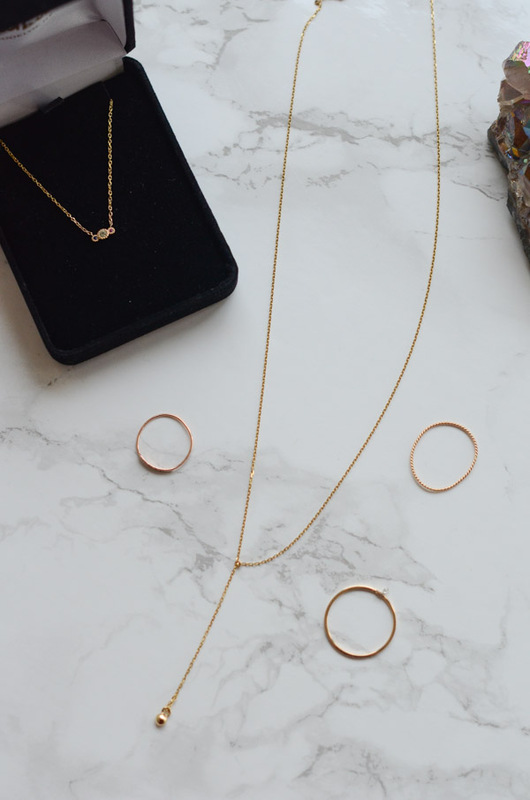 Anyone else shopping for Catbird jewelry? What are you hoping to get soon? « Are You Making These Two Most Common Mistakes Made on a Vegan or Vegetarian Diet?